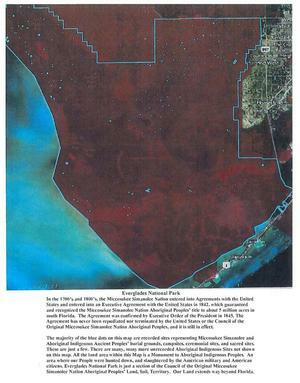 In the 1700’s and 1800’s The Miccosukee Simanolee Nation entered into Agreements with the United States and entered into an Executive Agreement with the United States in 1842, which guaranteed and recognized the Miccosukee Simanolee Nation Aboriginal Peoples’ title to about 5 million acres in south Florida. The Agreement was confirmed by Executive Order of the President in 1845. 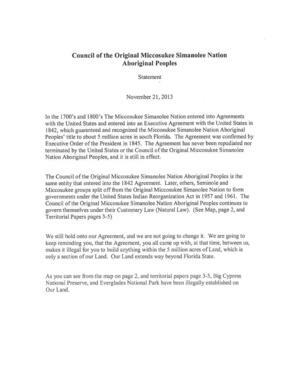 The Agreement has never been repudiated nor terminated by the United States or the Council of the Original Miccosukee Simanolee Nation Aboriginal Peoples, and it is still in effect. We still hold onto our Agreement, and we are not going to change it. we are going to keep reminding you, that the Agreement, you all came up with, at that time, between us, makes it illegal for you to build anything within the 5 million acres of Land, which is only a section of our Land. Our Land extends way beyond Florida State. 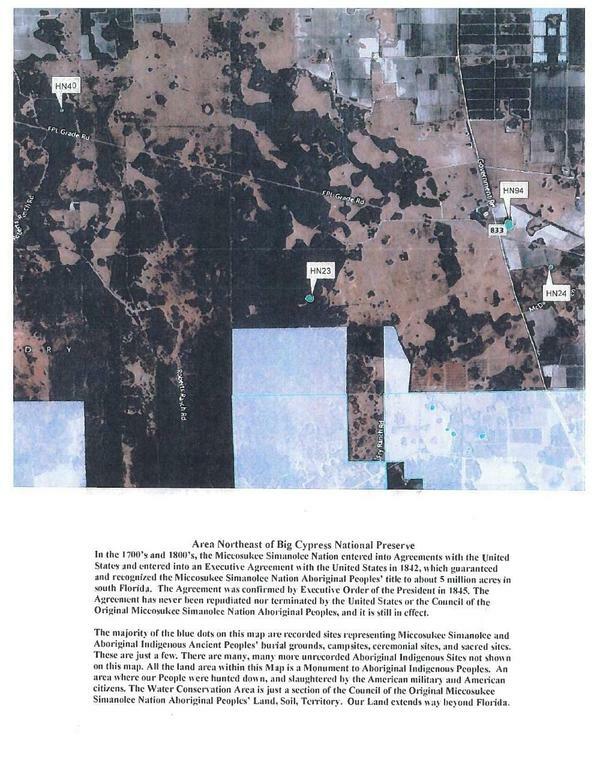 As you can see ﬁom the map on page 2, and territorial papers page 3-5, Big Cypress National Preserve, and Everglades Nzitional Park have been illegally established on Our Land. At one of the Big the Cypress National Preserve ORV Advisory Committee meetings. one of the committee members said he knew Jimmie Billie, the father of Bobby C. Billie, one of the Councilmen of the Council of the Original Miccosukee Simanolee Nation Aboriginal Peoples. 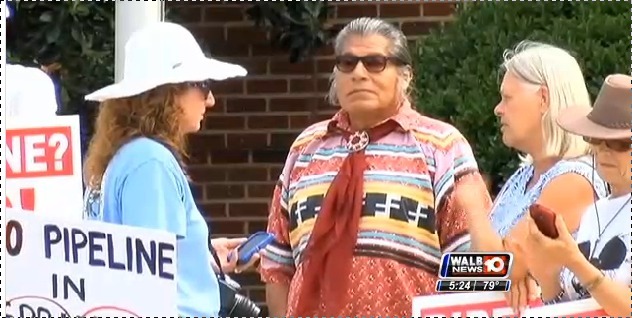 Jimmie Billie say for his people, all we ask is for land and if peaole live on reservation want the money, they can go ahead and take the money, We are not going to fight against them. And we don’t want those people fight against us. All we want is hunting land for our homes and our rights and to be Indians, and he likes the life to be Indian. That is what he wants, and that is what most of them want down there. So, he says, if they want the money, they can go ahead and take the money and live on reservation. If they want that, we are not going to bother them, and as long as they don’t bother uS on this side, but he says you must recognize these people and us down here are two separate setups. 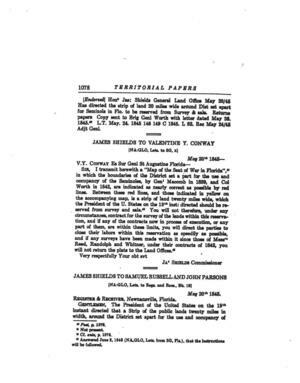 Jimmie Billie, Ingraham Billie, and thirteen other individuals acting on behalf of the General Council of the Miccosukee Simanolee Nation filed a document on September l7, 1954 with the Indian Claims Commission that states their principal concern as follows. 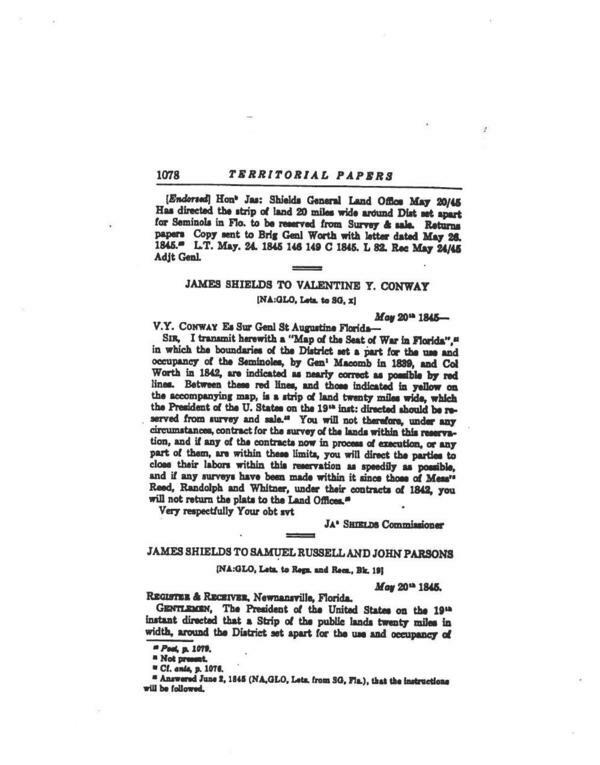 The Miccosukee Simanolee Nation has never authorized this claim, cannot be bound by this proceeding and has rights to lands in Florida that they are not willing to exchange for money, nor surrender. 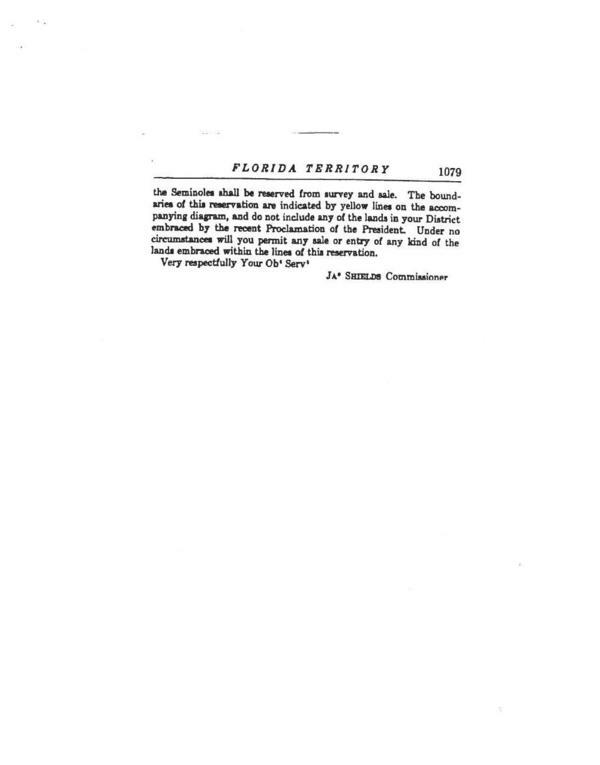 We continue today with those words spoken by the General Council of the Miccosukee Simanolee Nation in 1954 We hold onto our rights to Lands in Florida and beyond and we are not willing to exchange the Lands for money, nor surrender to a foreign government. 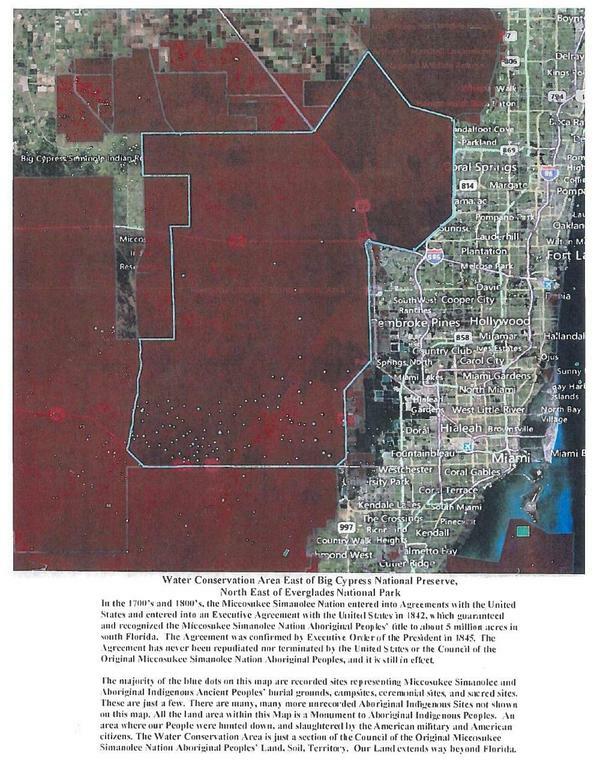 The Council of the Original Micccosukee Simanolee Nation Aboriginal Peoples objects to the planned River of Grass Greenway, 75 mile multi-use corridor, FPL natural gas power plant, power lines to Raccoon Point oil field, trails, roads, facilities, boat ramps, welcome centers, signage, access points, swamp buggies, air boats, and off road vehicles coming into and damaging our Land and our Waters, and disrupting the Wildlife on our Land and in our Waters Somehow, you all are going to have to pay for the damage you have already done to our Land, our Waters, and Wildlife on our Land and in our Waters which is. The Earth, the Trees, the Plants, the Rivers, the Creeks, the Wetlands, the Animals, the Eirds, the Fish, the Reptiles, the Insects, and all the others. The building of man-made canals, ponds, and lakes must be stopped, and you must cover up the ones you have already created immediately. Otherwise, we will start to charge you for the damage you have caused to the Natural Systems, and Natural Areas on our Land and in our Waters. Any kind of exotic species. 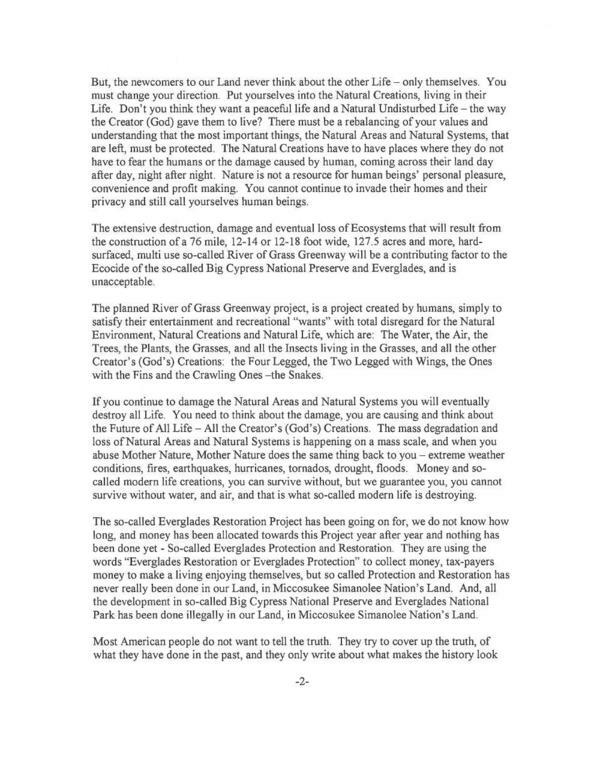 snakes or any other kind of animals, fish or birds, or invasive plant and tree species must be removed and whoever brought them to our Land and Waters must take responsibility and remove them from our Land and Waters, and pay for the endangerment they have caused to the Natural Life on our Land and in our Waters. 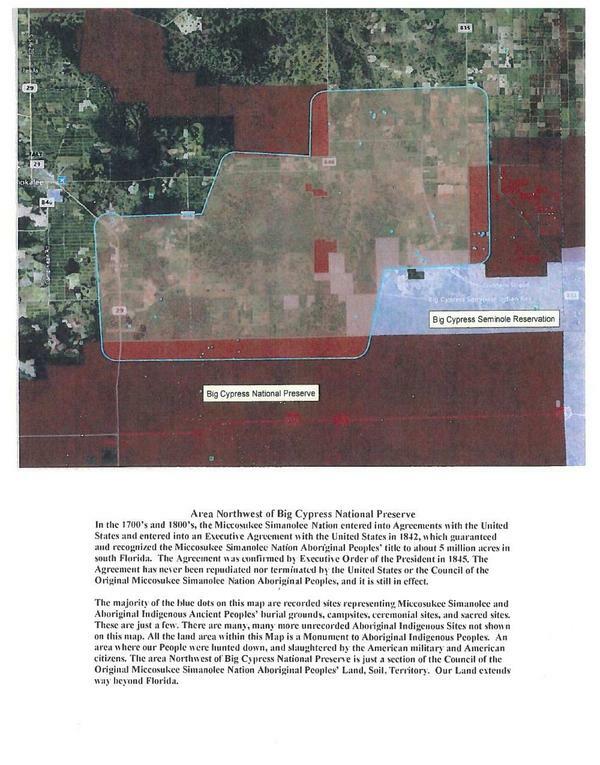 The Council of the Original Miccosukee Simanolee Nation Aboriginal Peoples holds you all directly, personally accountable and liable for all the damage, destruction, desecration and destroying of our Land, and the Natural Creations, the Creator’s (God’s) Gift. We know our history of our People. and certainly we know the ones you call Columbus, Juan Ponce de Leon, Pedro Menendez, and all the other illegal immigrants, who came illegally into our Land, of our Country, to kill, steal and destroy our Culture. And, we have our history of the American government telling the American military and American citizens to come into our Land and get rid of the Indians. 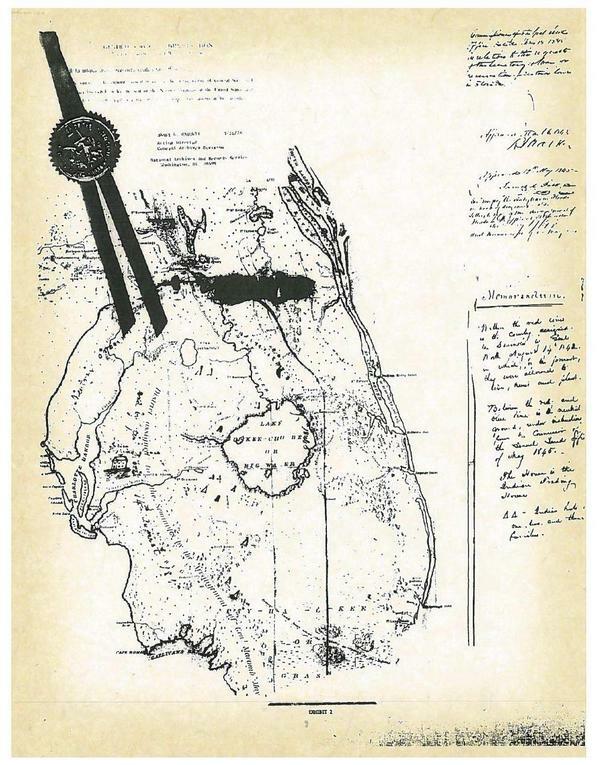 The majority of the blue dots, on the maps (pages 8-12) showing sections of Miccosukee Simanolee Land, represent Aboriginal Indigenous Grounds — Burial Grounds, Villages, Ceremonial Grounds, Campsites. and other Sacred Areas. These are the recorded sites, just a few. There are many, many more that have not been recorded. These are the grounds of our Ancient Relatives and of Miccosukee Simanolee people who died for us. We are the People of those People. We are still here. You cannot separate us from them. 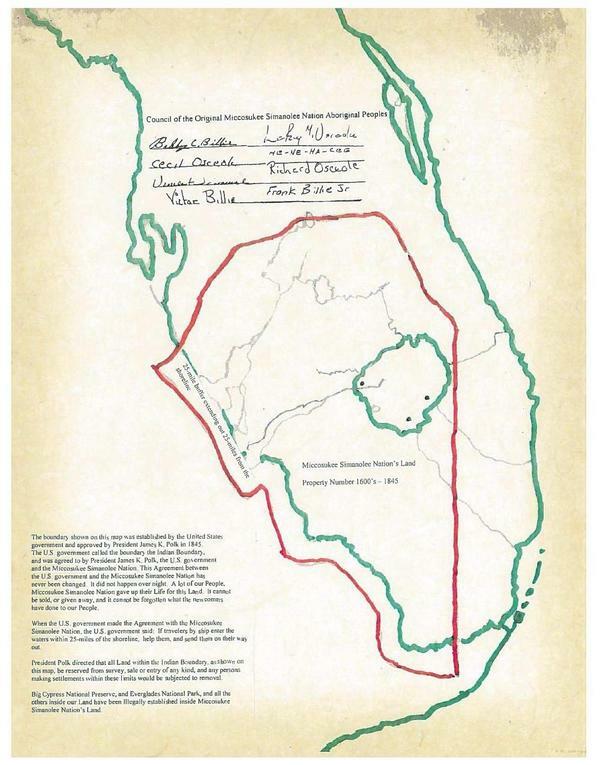 The entire areas, within these maps, are Monuments to the Aboriginal Indigenous People. 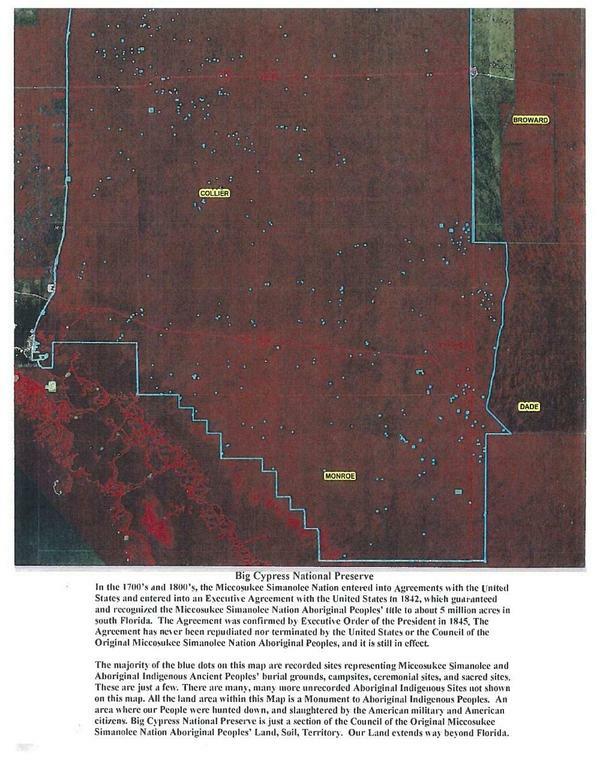 The Council of the Original Miccosukee Simanolee Nation Aboriginal Peoples holds all of you personally accountable and liable for the damage, destruction, desecration and destroying of our Sacred Areas, and for the removal of our Ancestors Human Remains and Belongings without consent from ihe Miccosukee Simanolee People. 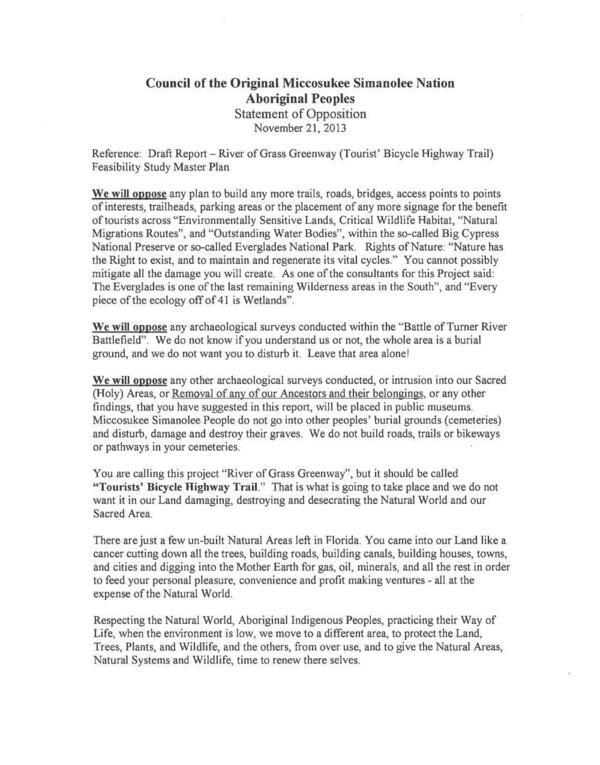 The United Nations Declaration on the Rights of Indigenous Peoples recognizes the inherent Rights of Indigenous Peoples, especially their rights to their Lands, Territories and Resources and Promotes the Rights of Indigenous Peoples affirmed in treaties, agreements and other constructive arrangements with States. 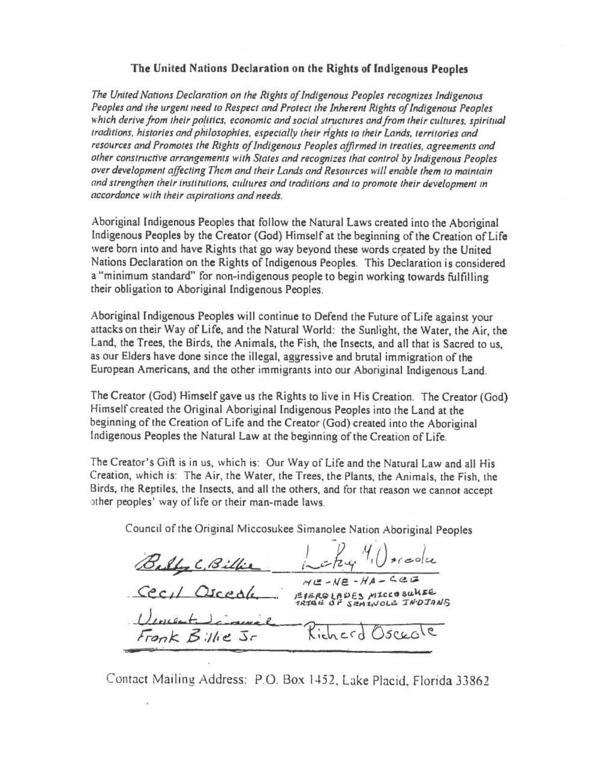 The Council of the Original Miccosukee Simanolee Nation Aboriginal Peoples will continue to Defend our Inherent Rights, the Future of Life and the Natural World against your attacks on our Way of Life and the Natural World as our Elders have done since the illegal, aggressive and brutal immigration of the European Americans and other immigrants into our Aboriginal Indigenous Land. 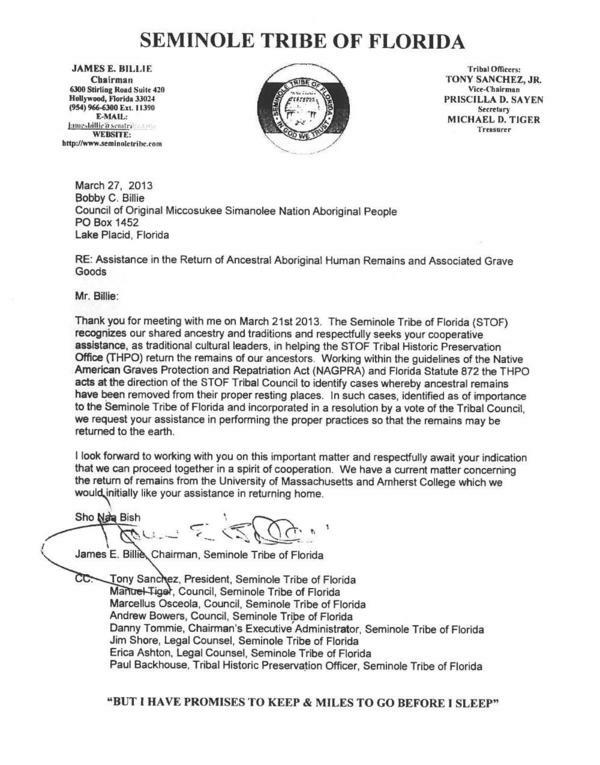 The Council of the Original Miccosukee Simanolee Nation Aboriginal Peoples is a separate Nation from the so~called federally recognized Miccosukee Tribe of Florida and the Seminole Tribe of Florida. 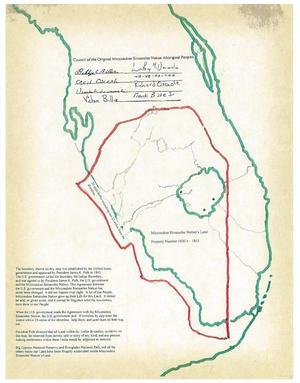 These two groups split offfrom the Original Miccosukee Simanolee Nation to form governments under the Indian Reorganization Act in 1957 and 1961. 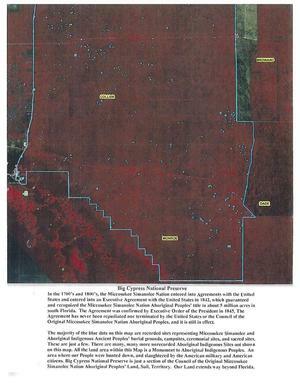 The Council of the Original Miccosukee Simanolee Nation Aboriginal Peoples continues to govern themselves under their customary laws. 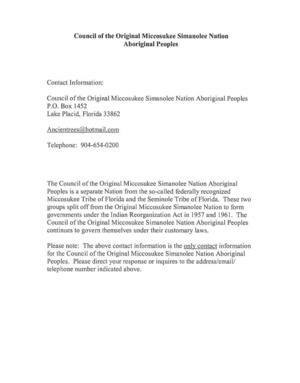 Please note: The above contact information is the only contact information for the Council of the Original Miccosukee Simanolee Nation Aboriginal Peoples. Please direct your response or inquires to the address/email/ telephone number indicated above.